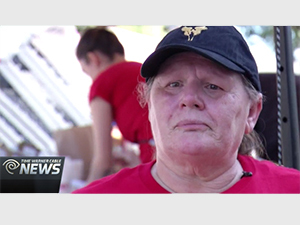 The Soldiers' Angels Veteran Mobile Food Distribution is touching lives all over the country. To hear the story of how this event has impacted the life of one San Antonio veteran turned Soldiers' Angels volunteer, click here. Since the start of the Veteran Mobile Food Distribution last September, the event has spread to: San Diego, California; Denver, Colorado; and Charleston, South Carolina; with more cities to come. With the help of sponsors and volunteers, we can continue to grow this program to even more locations. Are you interested in volunteering or sponsoring? Please email info@soldiersangels.org.